Clinton Marshall is active as a band guest conductor, adjudicator, and clinician. For more than 40 years he has traveled across North America sharing his knowledge, experience, and sense of humor with student musicians and music educators. As a guest conductor, Mr. Marshall has successfully led numerous honor bands including the Maryland All State Junior High Band and bands at the University of Wisconsin, the University of Alabama at Birmingham, and Duquesne University. At the International Peace Gardens, he directed the Wind Ensemble and Youth Bands. For 19 years he conducted the concert band at the Maryland Center for the Arts, a program for Maryland’s gifted and talented students. Mr. Marshall has guest conducted the Saskatchewan Provincial Honour Band on two different occasions as well as numerous honour bands in the mid-Atlantic and southern regions of the United States. He enjoys making music with adult community bands. Mr. Marshall has made several trips to Regina, Saskatchewan to workshop the Prairie Winds Adult Bands and he also conducted a two-day performance clinic for the West Valley Winds in Canmore and the Red Deer Adult Band Retreat in Alberta. In 2013 he was honoured to guest conduct a performance with the Winnipeg Winds, a professional wind ensemble in Manitoba. Each year, Mr. Marshall devotes a major portion of his schedule to adjudicating concert band festivals. He has participated in numerous festivals in Ontario, Manitoba, Saskatchewan, Alberta, and British Columbia. He has also judged festivals in locations ranging from New York to Alabama. 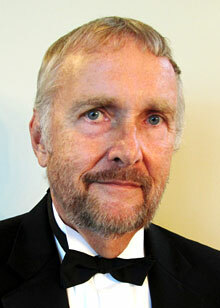 An avid opera fan, Mr. Marshall is a member of the Metropolitan Opera Encore Society and the Wagner Society of New York. He has taught numerous courses in opera for adult students.